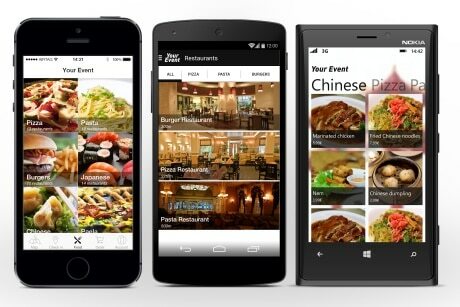 Visitors attending events at the Mobile World Congress venue will soon be able to place food orders and make payments using a mobile app, and then check in to restaurants via NFC or QR. They will then be able to collect their meal from a dedicated pick-up point, avoiding the need to join the traditional checkout queue. The technology to support the new mobile food ordering service is being provided to Fira de Barcelona by France-based supplier Airtag and is being integrated with the venue’s existing mobile app. To use the service, attendees choose their preferred restaurant theme, such as sandwiches or seafood. They then add their choice of products to the basket built into the app, pay via PayPal and receive an order confirmation that is stored in the app. When they are ready to collect their order, they go to the selected restaurant and check in via NFC or QR, by tapping or scanning a tag located near the restaurant’s entrance. They can then collect their order at a dedicated checkout that “will move much quicker than other lines because there is no cash exchange or credit card processing at the point of sale”. The solution is due to go live at the end of February and will be demonstrated by Airtag on booth 7J17 during MWC 2014. The use of a DTAG100 from DotOrigin would allow you to check in & launch the app, you can then place the order direct to the stores back end, and at the fast track checkout it can be used to trigger the PayPal payment application via NFC and complete the transaction.